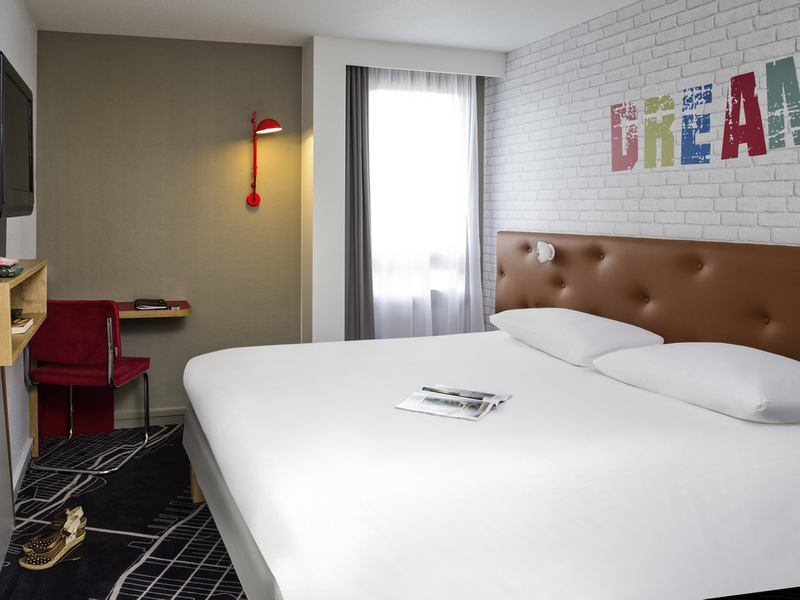 The entire team at the ibis Styles Chartres hotel welcomes you to the capital of light and perfume. Come and discover the medieval city of Chartres and its cathedral, listed as a UNESCO World Heritage Site, and explore our region. With 42 rooms (including 6 connecting rooms, 2 rooms for guests with reduced mobility and 2 family suites available on request), our hotel welcomes you 24 hours a day and offers a free enclosed car park and a restaurant, L'Atelier. You can also enjoy free WIFI and our breakfast-included package with all of our offers. Close to Chartres city center as well as major highways, the hotel is ideally located for your business and leisure trips. A 10-minute drive from Chartres Cathedral with easy access from the A11 highway. Our restaurant offers buffet-style or set menu lunches and dinners.